Adam Warlock: I've been melting faces in far-off places. The Collector: And what will you do now? Adam Warlock: Show this planet the power of cosmic rock. Ayesha: You should have stayed in your cage, Adam. Better yet, you should have never left your cocoon. Adam Warlock: I had to stop my sister from endangering the galaxy. From chasing an Infinity Gauntlet that's destined to destroy her soul. Also, to rock. Ayesha: If you stand in my way, I will destroy you. Adam Warlock: You can't stop the Warlock of Rock. Adam Warlock: The Ultra Senses granted by my many rebirths give me the ability to see into someone's soul. I can tell you were born to rock. Winter Soldier: Probably. I don't remember. Adam Warlock: We both know light and dark. Death and rebirth. We should combine our poetic powers to tap into the eternal energies, and burn this world's pain in a metaphorical fire of righteous rock. 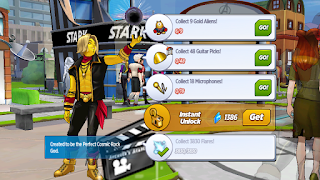 Pepper Potts: Welcome to Avengers Academy, Adam Warlock! Is there anything we can get for you? 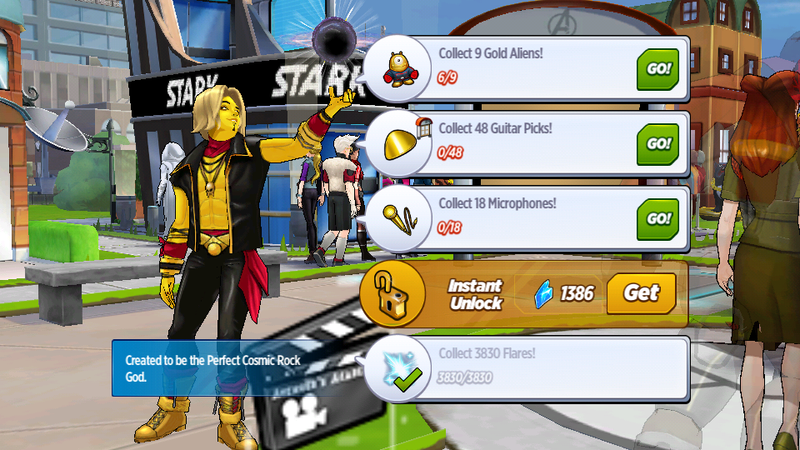 Adam Warlock: A place to bare my soul through music. A place to rest in my cocoon, and reemerge to bathe this world in the rays of cosmic rock. Pepper Potts: Have you met Winter Soldier? 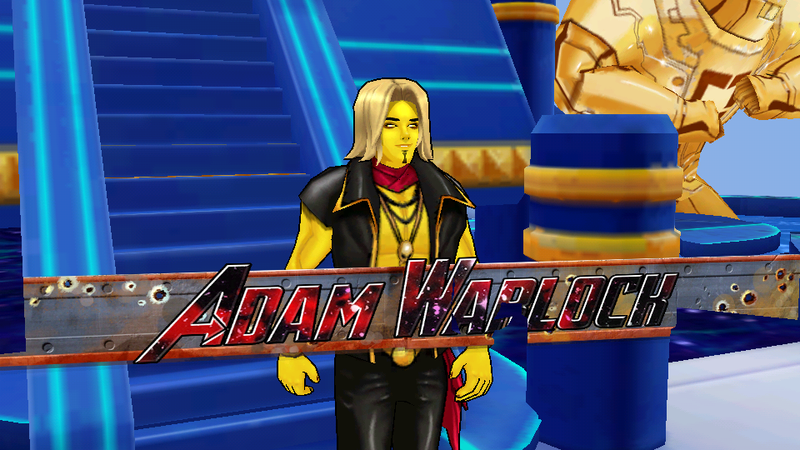 Adam Warlock: Awake, and ready to rock. Gamora: Same thing you said after you hibernated through our last gig. Are you ready to fight your sister, and her crew of angry hood ornaments? Adam Warlock: I was reborn ready. Adam Warlock: They kept me company while imprisoned. I needed to repay them with the gift of cosmic rock. Gamora: Wouldn't it be better if you set them free? Adam Warlock: They like it in the museum. They say it makes them feel more cultured. The Collector: You're disturbing my specimens! Adam Warlock: Your specimens are my friends. The Collector: They're my friends too! Adam Warlock: You have a strange way of showing it. The Collector: I have a strange way of doing everything! Wasp: You're like a beautiful butterfly! 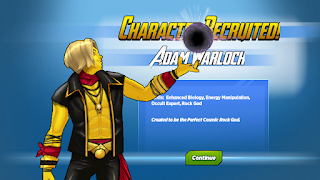 Adam Warlock: I was created to be the perfect golden god of cosmic rock. Wasp: Write a song about butterflies! Wait! Wasps! Wait! Write a song about me and Tony being besties! Adam Warlock: I assume you're here to tell me to focus on my sister and the Priestesses of the Sovereign? Gamora: No. We'll get to them soon enough. Doctor Voodoo: I've heard some incredible things, but I've never heard anything like that before. 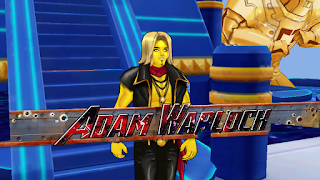 Adam Warlock: I'm here to save the universe through music. Adam Warlock: They did for a time. I'm an expert in souls, and have seen many things, but that was new to me. Doctor Voodoo: We need to hang out more often. Black Widow: When you say you were created, you mean in a lab? Adam Warlock: I was designed by the scientists of the Beehive. Black Widow: That's even weirder. Why? Adam Warlock: Allow me to demonstrate. Black Widow: So, your creators designed you to play hair metal? Black Widow: ...The ways of love? Adam Warlock: Cosmic magic. Get your magic out of the gutter. Adam Warlock: Please explain your sorcery. Doctor Voodoo: As Houngan and a Master of the Mystic Arts, I protect our world from magical threats. Sometimes I talk to spirits. I invoke the loa, when necessary. Adam Warlock: I can sense something...beyond. Watching judging, balancing. It distracts me from the present. It's messing with my vibe. Adam Warlock: There is another cosmic being here. A being of immense power. Something more perfect than I can fathom. I saw the abyss behind its eyes. Doctor Voodoo: Let me guess. Tentacle face, giant black eyes, makes gurgling noises? Adam Warlock: The being I'm speaking of is far more powerful than your friendly neighborhood Cthulhu. Doctor Voodoo: Tell me about the future you saw. Adam Warlock: It was...grim. I saw planets being conquered. Controlled. The song of the universe, silenced. Cosmic rock was dead. Doctor Voodoo: And you weren't able to identify the beings? Adam Warlock: Greetings, Boss Wasprus. Please be yourself while I gaze into your soul, and share your wisdom. Boss Wasprus: Eyyy, I'm sleepin' over here! Adam Warlock: No! It cannot be! How could this happen?! How will this happen?! Boss Wasprus: Bada bing, bada boom! Adam Warlock: There's no time to explain, Boss Wasprus! He must be stopped! The music cannot die! Adam Warlock: I have seen what is to come. A cult, spreading through the galaxy. A cosmic being, all love of music driven from his mind. Gamora: I'm the goth one. You're supposed to be the dramatic shiny guy. Nick Fury: An evil cosmic powerhouse with a horde of anti-magic worshippers is coming to my planet? Adam Warlock: They're most likely coming to this Academy. Nick Fury: See what you can do to slow them down. I'll tell Pym to ready Vault 872. Adam Warlock: Do you know anything about a being called Magus? Hank Pym: Plenty of things! His theocracy has conquered planets in a dozen universes! Adam Warlock: What would happen if he came here? Hank Pym: Catastrophe! Destruction! Easy listening! Hank Pym: Because now that we have you, this universe has a chance! The Collector: I know something you don't know! Adam Warlock: You're a billion years old, Collector. I would hope you know some things. The Collector: Do you know who Magus is? Adam Warlock: I don't care who he is. I only care about stopping him. The Collector: That should be exciting to watch because he is you. Adam Warlock: A cosmic being of unspeakable power with a devoted army of followers will arrive in our universe in a matter of days. I see only one way to save music and stop him from spreading across the galaxy. Mantis: With the power of love?! Gamora: With the power of my boots in his face? The Collector: With the power of me?! 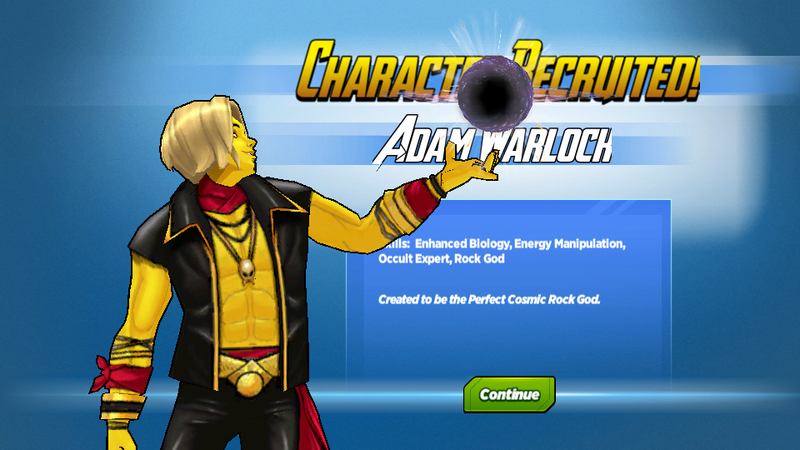 Adam Warlock: With the power...of rock! Doctor Voodoo: Finally, a justifiable fist bump. What do you think of Adam Warlock? Were you able to get him?